This week started rather slowly. The Principal of our school, AKA “Daddy” was home for the day, so it made school almost impossible. We had fun with our Art Study. 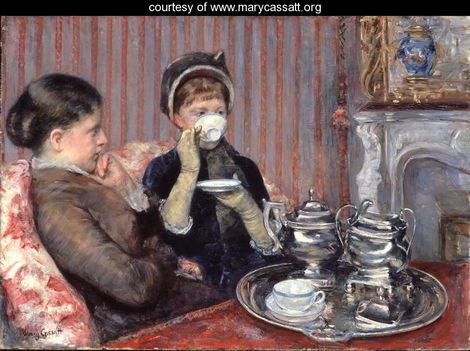 We’re finishing up our study of Mary Cassatt, and, well, I was inspired to do something… well… interesting. We did Chalk art for our last Cassatt picture coloring page. Everyone enjoyed it. Next week, our history turns to the state of Arkansas. This is to prepare us for our vacation in November! Yay!!! I hope this is enjoyable to all. I have a US Cookbook and thought we’d include it in our study – not sure though. Oh, after last week’s Handicraft Lesson in Knitting, I can safely say there is only ONE knitter in this house! Flower Picker has stuck with it! Face and #1 Son just didn’t get the love aspect… and I can’t blame them. They totally take after mom. We always watch a movie together on Saturday nights. This past weekend, we watched Another Thin Man (love the classics! ), and I always crochet in front of the TV. It was quite a sight to look up from my crochet to see #1 Son Crocheting, next to Flower Girl Knitting, in front of Face Crocheting! The Principal was the only one not doing anything with his hands. He says it’s things like that that he appreciates about me – sharing my love of crafts with the children. Aw…. Anyway, Edgar Degas will be the Artist for the next few weeks. 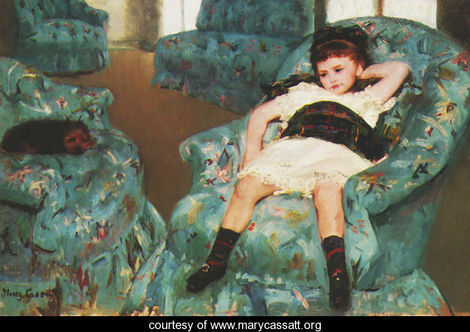 The Cassatt film we watched sort of introduced the kids to Degas, so I hope it goes well. Our new composer is Frederic Chopin. We’ve been listening to his music all week. Also, we tried something new this week. The Principal bought some avocados. Why? Because they were on sale, silly! Anyway, I know nothing about avocado, other than they’re used to make guacamole. So, FACE googled a recipe, #1 son smashed the avocados after I learned how to peel them. We ate tacos that night! For our Nature Study, we braved the ferocious jungle called Walmart, and sought out our subject. Three of us found the smell putrid, but, of course, FACE didn’t seem offended by the odor. We then scraped the stringy stuff and the seeds out. Can I just say – how people can buy several large pumpkins, cut them open, scrap the innards and all with a smile on their face… is beyond me! This was the worst 2 hours of my life! That includes the day I first smelled chicken manure! Anyway, after we removed the insides, the air cleared a bit, and I nuked the parts, so I could get the meat out. I followed the steps that #1 Son found here. Gotta love the stick blender! We will be baking a loaf of Pumpkin bread this weekend. Now, with all that behind me, I just wanna say – I’m glad we participated in this week’s Nature Study Challenge, but after 10 minutes of scraping that stringy stuff – I was ready to throw in the towel! It was more intense than I thought it would be – but it was my first time ever cutting a pumpkin. We took a chance, made mistakes, and made a mess – to paraphrase Ms. Frizzle. Will post a picture of the pumpkin bread. This entry was posted in Art Study, History, Literature, Music Study, Nature Study, Science, Yadda Yadda and tagged cooking, crafts, crochet, geography, handicrafts, kids, knitting, Nature Study, outdoor hour, Science. Bookmark the permalink. Loved your week. We have our pumpkins ready to cut open but are waiting for middle son to get better so he can join in on the fun of the gutting of the innards. I’ll share soon. By the way, I loved your art study and those reproductions. Great job! 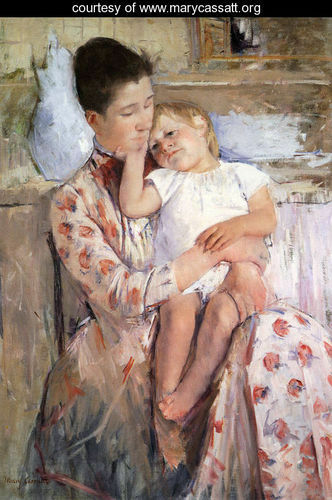 I loved the photo/Mary Cassatt idea…I will have to share that one you know. You did a noble job in sticking with the pumpkins. Funny, I never found them to smell bad. I love that we are all different and my son actually liked scooping out all the stringy stuff but I find it disgusting. To each his own. Pumpkin bread will be yummy. I love what you did with the photos! How cool!! You’ll enjoy the bread though. Yummy!! !